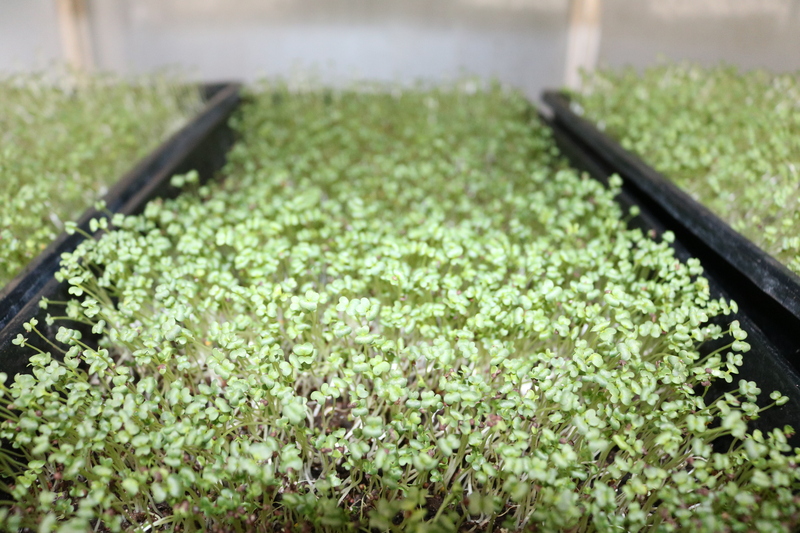 The Concordia Greenhouse is now offering a Microgreen Community Supported Agriculture Program (aka CSA)! Pay a discounted amount for your weekly sprout order – $6.50 weekly (totaling $65.00), if you order for the 10 weeks (October – December) Possibility to sign up for later for a reduced period. Each week, members will receive a large (200g) bag of sprouts each week, with two types to choose from: sunflower or mix (i.e. blend of Pea shoots, Radish, Sunflower and Buckwheat [gluten-free]). Payment: by cash or cheque, to be paid in the Greenhouse office before receiving the first order. Monday-Wednesday (11am-5pm), Thursday (11am-3pm) at theConcordia Greenhouse (13th Floor – Hall Building). Or, the Concordia Farmer’s Market, every Wednesday, from 12-6pm located on the 2nd floor of the Hall Building (in front of the Hive Café Co-op). Holidays: there will be no sprout pick-up during holidays. In the event this university is closed on the Monday, you can pick up your order on the Tuesday or Wednesday. Previous PostWe are OPEN!Next PostJoin Our Board of Directors!